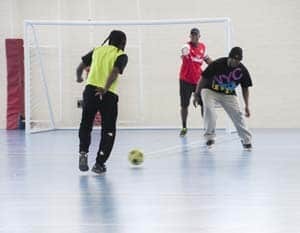 To celebrate Black History Month, Southwark Youth Services in partnership with Sporting Recovery CIC are hosting a Celebrating Sporting Success day, 25th October 2017, promoting mental health success within the BME communities. This is a community event where you can enjoy various sporting activities at the Damilola Taylor Centre in Peckham, SE15 6DR. There is a free healthy lunch with relaxing African drumming and a musical surprise! As part of the awareness day, we will have various celebrities attending who will talk about how their sporting activity has improved their mental health. You can win a ticket to enter the ‘Big Half Marathon’ and support your community. There will be healthy food available, including lunch, from our cafeteria.